Authored by a well-known expert in the field of nonequilibrium statistical physics, this book is a coherent presentation of the subject suitable for masters and PhD students, as well as postdocs in physics and related disciplines. Starting from a general discussion of irreversibility and entropy, the method of nonequilibrium statistical operator is presented as a general concept. Stochastic processes are introduced as a necessary prerequisite to describe the evolution of a nonequilibrium state. Different standard approaches such as master equations, kinetic equations and linear response theory, are derived after special assumptions. 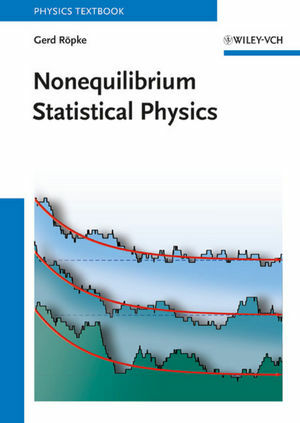 This allows for an insight into the problems of nonequilibrium physics, a discussion of the limits of the approaches, and suggestions for improvements. The method of thermodynamic Green's function is outlined that allows for the systematic quantum statistical treatment of many-body systems. Applications and typical examples are given, as well as fully worked problems. Gerd Röpke is professor of Theoretical Physics at the University of Rostock, Germany. Having obtained his academic degrees from the University of Leipzig, he spent most of his career working at the Technical University Dresden before the appointment at Rostock. Professor Röpke has authored over 400 scientific publications on quantum statistics, nonequilibrium statistical mechanics, plasma physics and nuclear theory, including several monographs, and he received different awards. He is a member of the Saxonian Academy of Sciences and external member of the Max-Planck Society.